Every parent raises their child with a lot of love mixed with a little bit of luck in the hopes they can get them through their teenage years to emerge as young adults everyone can be proud of. In Nashville, the upstart hockey team known as the Predators have hit their late teens and they are skating on ice in their 18th season that has led them to the ultimate payoff. No, not a scholarship to some prestigious university but something even better – that is, a spot in the National Hockey League’s Stanley Cup Finals. 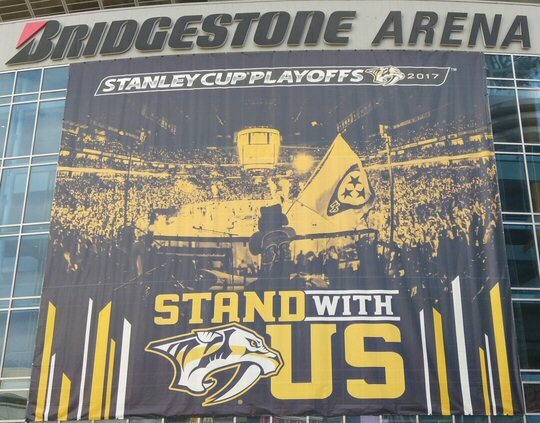 Nashville is standing up proudly for the Predators. The Predators didn’t make this happen all on their own, however. It does takes a village and in this little big town in Tennessee that demographic is made up of the residents of Smashville who have slowly and steadily followed their ice men through the years. 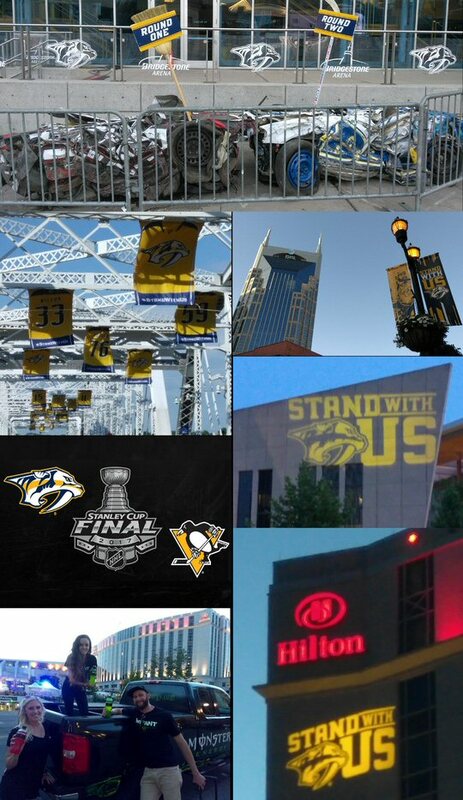 This fan base is now easily recognized as the sea of gold that descends upon Broadway for every one of the team’s home games at the Bridgestone Arena. In addition to their fervent supporters there were many significant figures, politicians and team executives over the years who nurtured this unlikely franchise to the pinnacle of their sport that they are enjoying today. Just like the city of Nashville is undergoing unprecedented growth the population of Smashville is bursting at the seems in the Spring of 2017 due to the team’s surprising yet dominant run through the first three rounds of this season’s playoffs. You see, the 8th seed in the Western Conference and sixteenth ranked team overall swept past the favorites the Chicago Blackhawks on the way to defeating the St. Louis Blues and the dirty Ducks of Anaheim both in hard fought and costly six game series. 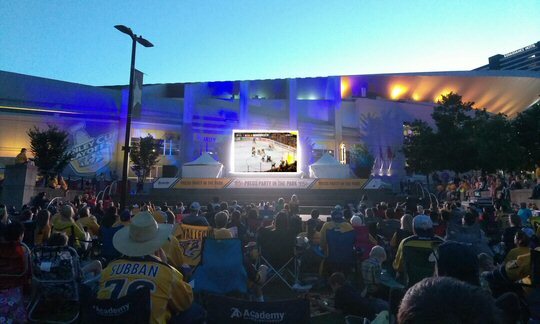 Viewing parties have extended the fun from the rink to the park. Now, throughout the metro and surrounding regions it’s common place to see the “Stand With Us” banners that have become ubiquitous in Music City. Prominent buildings have been bathed in gold and blue and merchants all over Nashville are showing support via signs, projections and marketing tie-ins as Preds fever hits Mid-Tenn. Call them new fans or bandwagon jumpers it’s good for business. 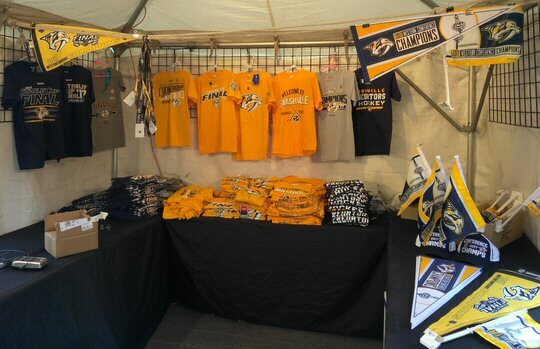 All of a sudden numerous striking merchandise stands have literally popped up on the pikes that lead to the new capitol of ice hockey. T-shirts, banners, hats and pennants of all varieties and colors are now available at these boutique outlets or in your local grocery stores as Nashvillians of all ages rush to show their support for their pre-historic monikered team’s historic Stanley Cup run. Merchandise booths like this one are springing up all around the city. 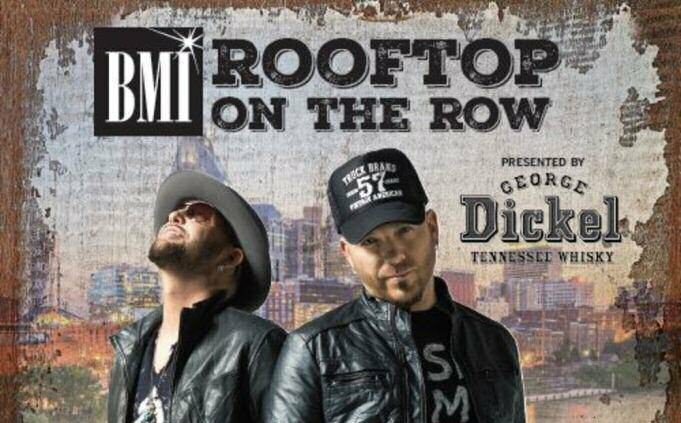 Finally, it wouldn’t be Music City without music and this town needs little excuse to throw a party. So, it’s little wonder that government officials in conjunction with Predators executives have been working hard behind the scenes to plan the Broadway Smash. During home games 3 and 4 a stage will be at 5th Avenue & Broadway, with large screens there and in other locations. A slate of performances are being lined up for pre-game concerts that are sure to feature the A-list talent Nashville is known for. 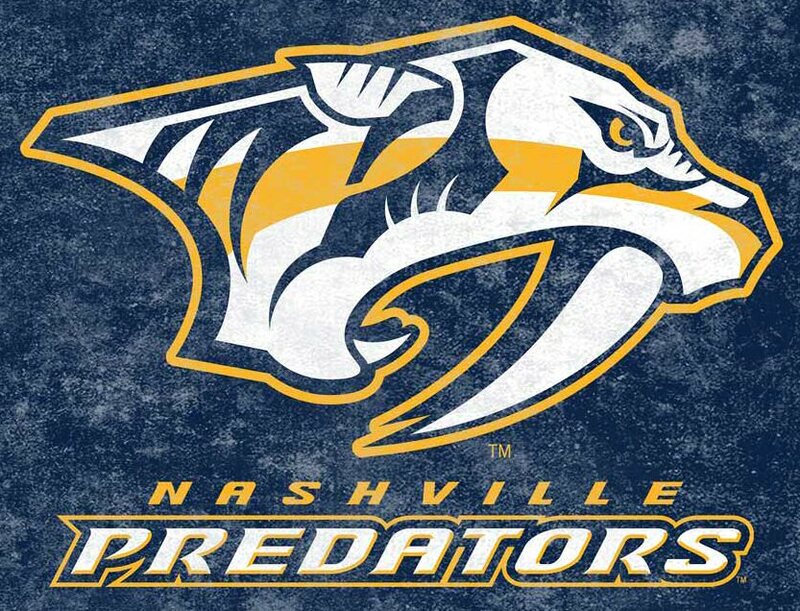 During all the parties, Predators mascot GNASH and the Predators Energy Team are scheduled to make appearances. Food trucks will be on site, and sodas and beers will be on sale. Bottled water and hot dogs will be available at low, family-friendly prices. The Predators and the NHL have truly come of age in Nashville. It’s time to root them on as the boys in blue and gold now try to mine sterling silver in the form of the coveted Stanley Cup trophy. They’ve come a long way, baby with a lot of help from many, many mentors. Let’s celebrate with them as they graduate to the next level of hockey with high honors. More scenes showing widespread support for the Preds.